The British Museum Reading Room, situated in the centre of the Great Court of the British Museum, used to be the main reading room of the British Library. 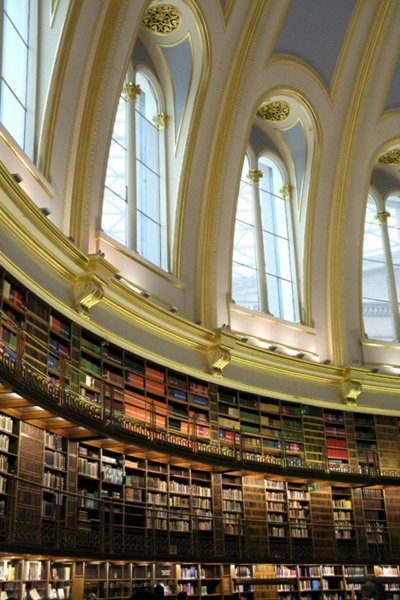 In 1997, this function moved to the new British Library building at St Pancras, London, but the Reading Room remains in its original form inside the new British Museum. Designed by Sydney Smirke on a suggestion by the Library's Chief Librarian Anthony Panizzi, following an earlier competition idea by William Hosking, the Reading Room was in continual use from 1857 until its temporary closure in 1997.